Home security, like most modern technology, is a platform for considerable innovation. Many companies remain in the realm of simple security cameras and the occasional sensor. However, Moni pushes the boundaries, offering pioneering, high-tech solutions for comprehensive coverage. They employ trained professionals to monitor your home and provide protection for almost every kind of risk imaginable. The Moni home security package ensures its customers’ all-encompassing peace of mind, promising premium safety while accounting for the complexities of real life. With competitive prices and various plans available, users can enjoy bespoke security for their individual needs. Find out more about MONI home security here. 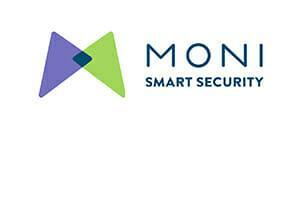 MONI offers a variety of price plans for their home security system. Although they’re higher than some home security companies, they are still competitive rates considering the level of protection on offer. The ‘Core’ plan provides the best value for money but misses out on some of the more sophisticated features – including the mobile app, home automation capabilities, and security cameras. MONI staff are some of the best trained in the industry, ensuring the very best quality protection for your household. Their CSAA Five Diamond rating gives them elite status, as it requires strict guidelines and constant upgrades, ensuring they remain at the vanguard of security monitoring. Professionals at MONI receive an extensive 96 hours of classroom training, followed by eight weeks of on-the-job mentoring. This far surpasses the majority of similar companies and ensures Moni offers customers top-quality protection. For 24 hours a day, your system is actively monitored by MONI staff, who respond instantly if an alarm is raised. Not only do MONI offer premium first-response promises, they also provide customers with a comprehensive range of support options, should any problems or queries arise. Their lines are open 24/7, and they can be contacted over a variety of platforms. You can phone, email or live chat, or simply send them a message over their social media. It is worth noting that their onsite live chat is mainly devoted to sales, but they are quick to forward customers in the right direction if they cannot provide a resolution themselves. The website also offers extensive literature, with FAQs and other information regarding the individual products and plans. As already mentioned, MONI offers innovative solutions rarely seen in home security products. Their pet contingency covers a higher weight limit than most, even attributing for big dogs. This notable feature could save significant money on costly false alarms. Furthermore, the fact they offer customers insurance for up to two incorrect triggers provides instant peace of mind. Having to pay out for calls to local authorities is a frustrating financial burden, but this contingency means you can acclimatize to your new system without worry. Alongside this, the home automation capacity allows for sleek operation and monitoring, to further streamline your security experience. MONI goes further than just protecting your home. They also provide equipment to cover your personal safety. Particularly for the elderly and infirmed, these upgrades offer an invaluable service. The medical emergency package comes with an alert band, which triggers a response when pressed. Should you fall ill and injured, you can call for help instantly. They also provide sensors for carbon monoxide and remote temperature controls, to keep your home at the optimum stasis for your health. Although the MONI security system is not the cheapest on the market, it provides a lifetime of protection. Even if you move house, it’s simple to transfer the alarms across with you. A MONI expert will reinstall the equipment and ensure everything is working correctly, for a smooth transition when you move. Unlike some companies, this service is free of charge. If you feel you no longer need the security system, you can also pass your MONI subscription along to friends and family members. This change is easy to make by following the ‘new ownership protocol’; details of which are available on their website. Many home security systems require new equipment to be installed. However, MONI customers can use alarms and sensors from many retailers. The company works with a whole plethora of brands, sold through individual distributors in your locale. If you already have a home alarm installed, you won’t have to buy any new products – which will save a significant sum. Instead, the MONI technician will simply configure the new technology to work with the old equipment. It also means that it’s possible to switch out sensors and alarms, should you end up with a brand that is continually faulty. All equipment purchased from MONI comes with a lifetime warranty, so it’s free to change/repair if any problems arise. Each subscription comes with a package of free home security products. The basic set-up includes a Smart touchscreen panel to monitor the system, alongside three door/window sensors, one motion sensor, and a key fob remote. On the upgraded plans, you also benefit from a smartphone app, garage door control, and indoor/outdoor security cameras – for real-time DIY monitoring. While this is more than enough to protect from home invasion, other types of protection require you to purchase an add-on package. Should any of the equipment break, MONI will replace it for no charge – as long as you are still a registered customer. As previously mentioned, a professional will set up your MONI system – which is beneficial to avoid the configuration issues that come with a DIY home security system. The process takes about 3-4 hours, depending on the chosen package. Once installed, it provides automatic monitoring, without the need for continual interference. When active, if a sensor is triggered, the alarm sends an instant alert to the company’s Response Center. If you have an upgraded plan, you will also be notified via the mobile app. A MONI operator then activates the emergency response procedure. This protocol involves first contacting the customer, before subsequently alerting the relevant authority. The MONI system is incredibly low maintenance; the only customer responsibility is to change the batteries every 3-5 years. If any problems are encountered, it’s easy to contact the team for a remote resolution. Faulty equipment will be replaced for free. Is There a Home Secure App? MONI offers a DIY home security app on both upgraded plans. The app is easily downloadable onto your smartphone and affords remote control over the system. With the feature, you can arm and disarm your system – no matter where you are – with a simple click of a button. Alongside this, it offers instant notifications and texts to inform you of the status. If an alarm is triggered, it will send an automatic update and prompt you to take the appropriate action. This remote access is particularly useful in false alarm situations, as you can quickly void the alert and prevent the emergency services from responding to the call. The smartphone app is also integral to the IoT capabilities, as it can be used to control features such as the thermostat, door locks, lights and security cameras. You can also view real-time footage of your home, which is ideal for vacations and there extended absences. MONI is a premium security alarm system that offers a top-rate service. Unlike budget options, they boast constant professional support and innovative upgrades for genuinely top-of-the-line home security. Their highly-trained staff is available 24/7, and they offer a wide range of sensors and monitors to protect from all kinds of security risk. Currently, MONI is also promoting their newest product, Nest Secure, which is a compact home alarm that offers a rolling contract – perfect for renters!